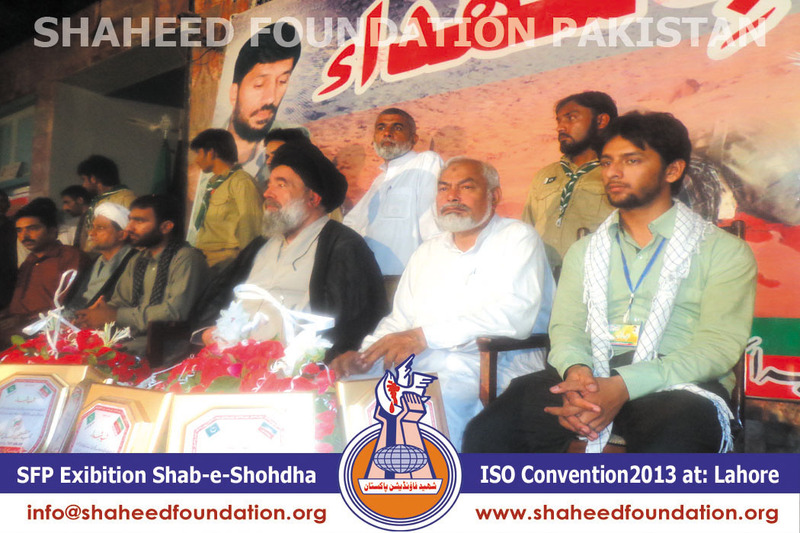 On 27, 28 and 29 of September 2013 a central convention of Imamia Student Organization Pakistan was held at Jamia Muntazir Lahore. 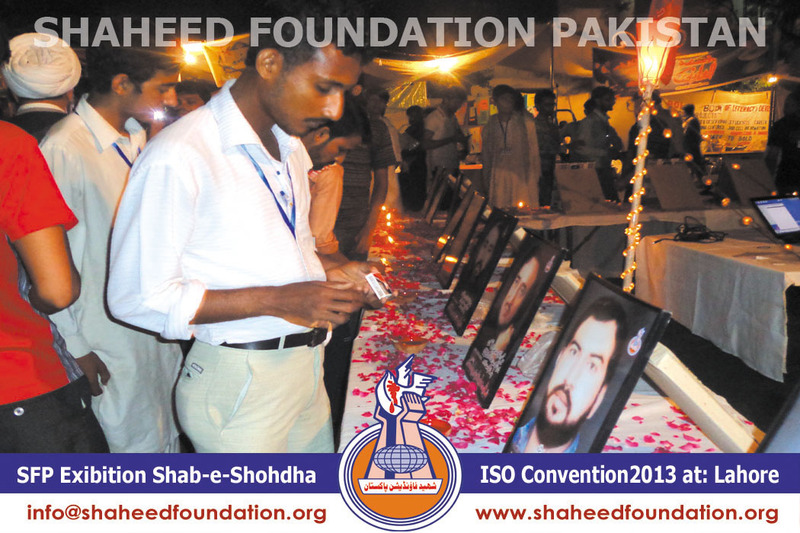 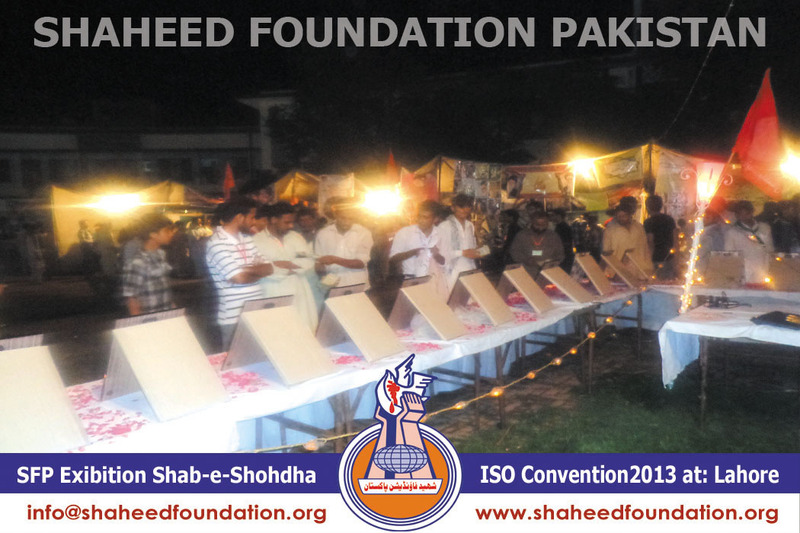 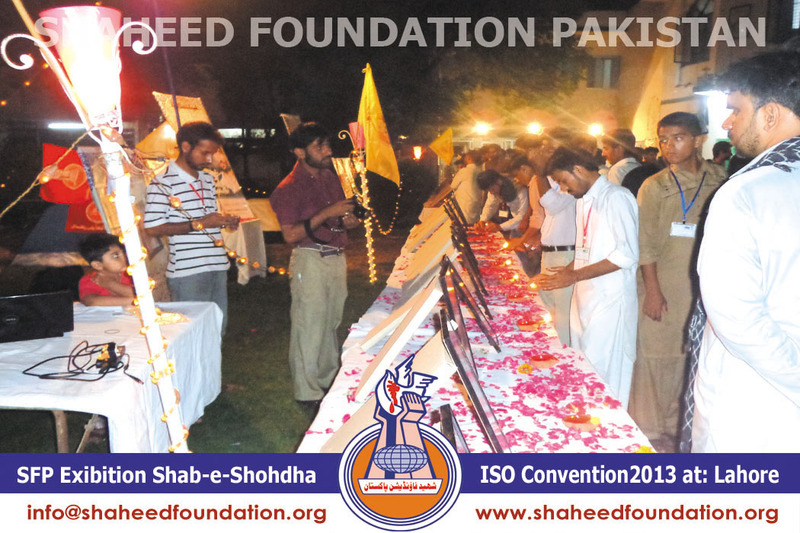 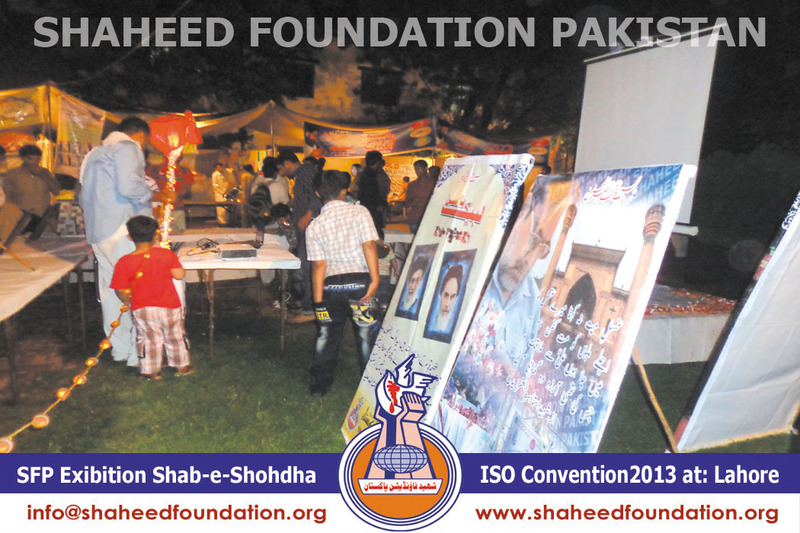 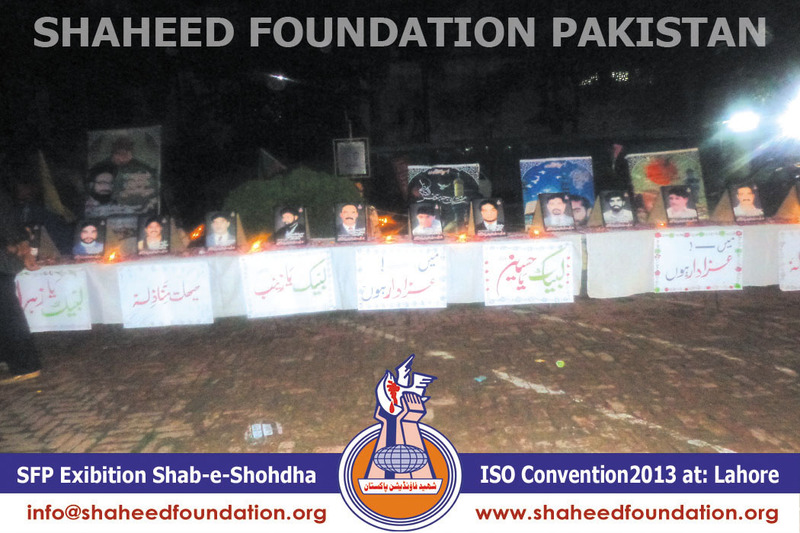 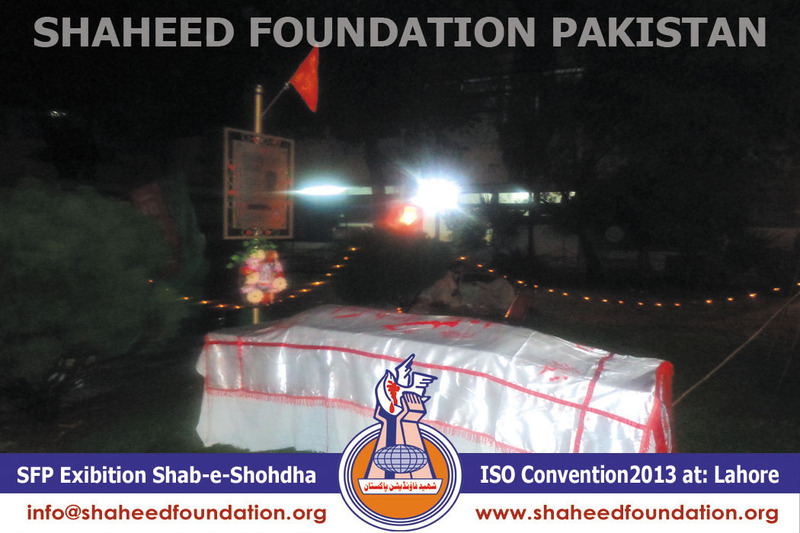 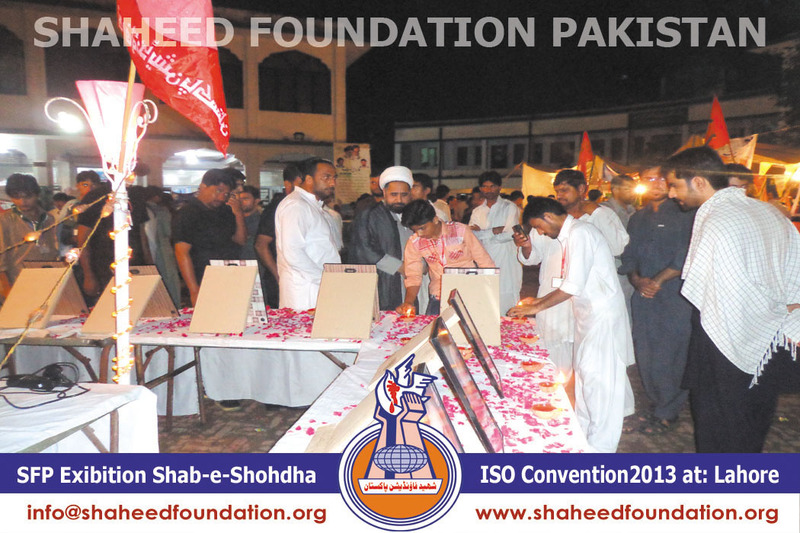 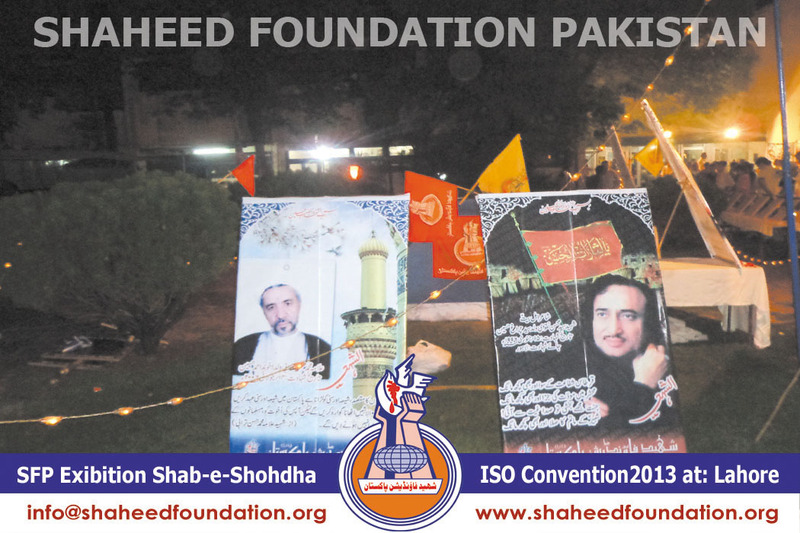 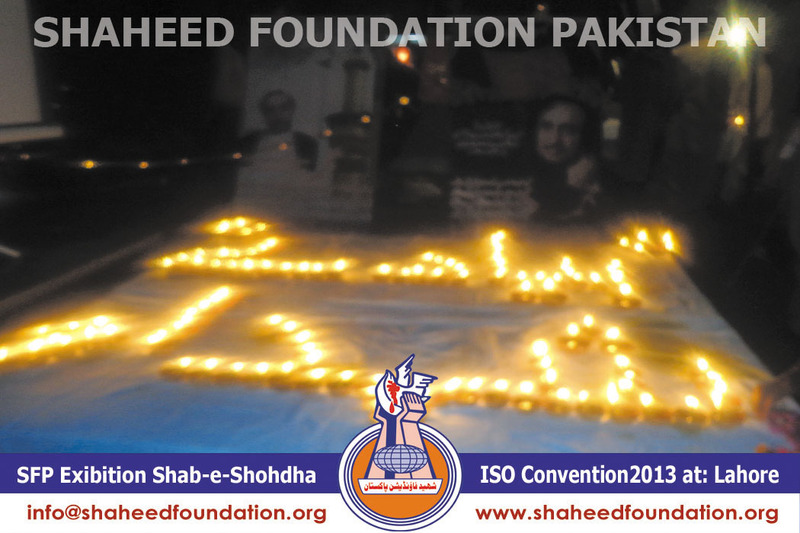 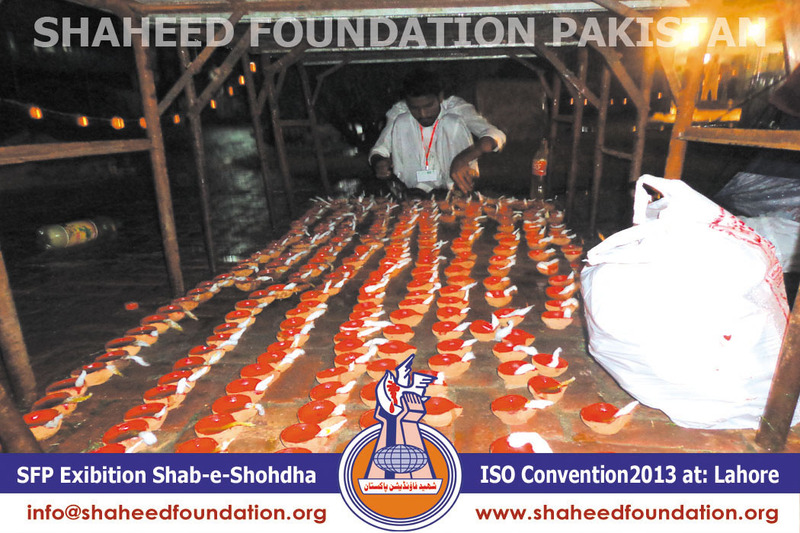 Shaheed Foundation Pakistan managed Shohada picture exhibition in the convention. 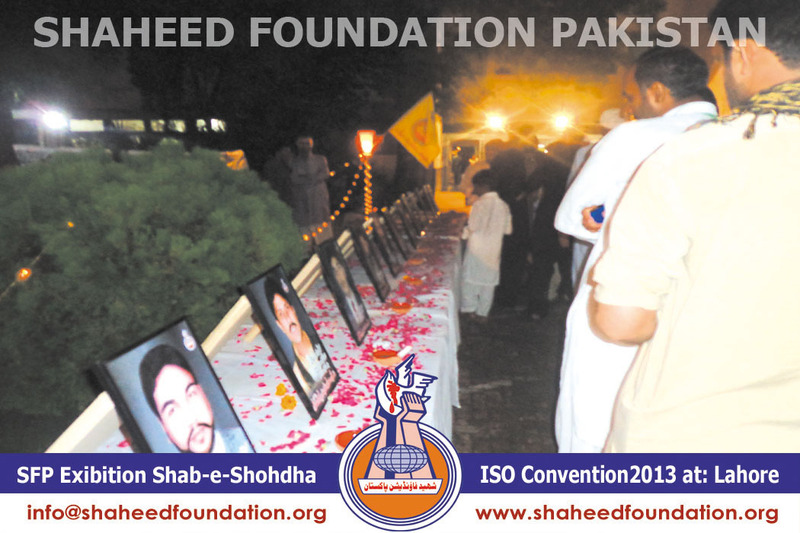 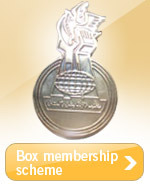 More than 50 picture frames of Shohada were displayed on the occassion. 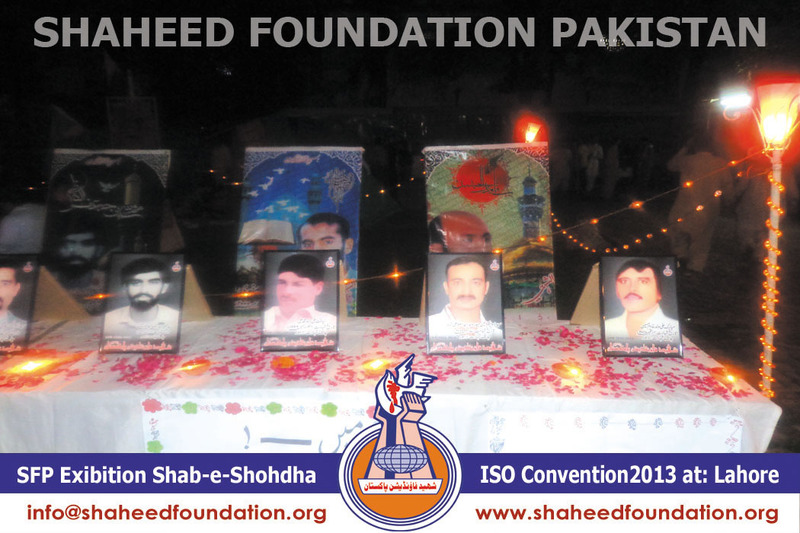 These frames were prepared for Khanwada-e-Shohada Lahore. 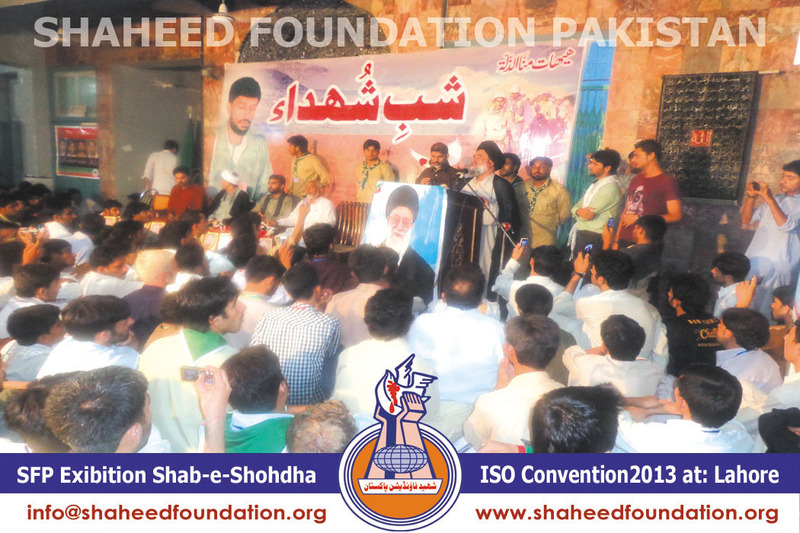 Khanwada-e-Shohdas from different cities attended the Shab-e-Shohada program in convention. 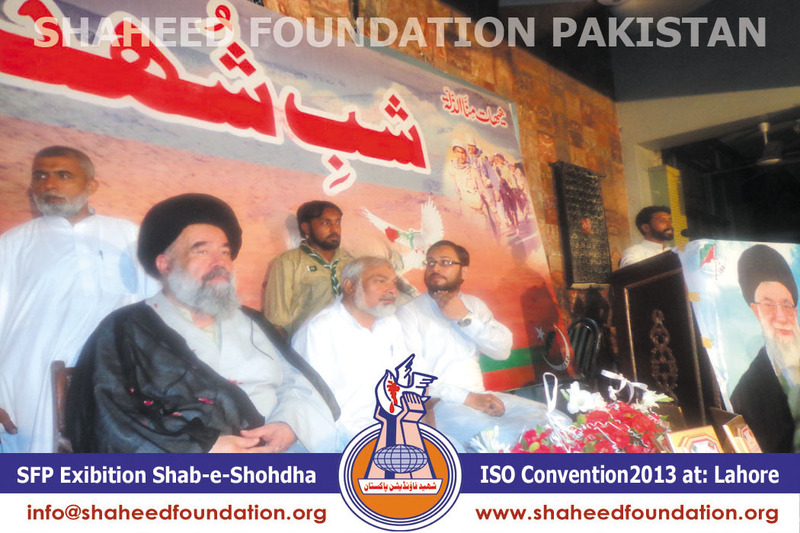 Representative of Rahbar-e-Moazzam Ayatollaah Syed Ali Hussaini Khamenei for Pakistan, Ayatollaah Sayyid Abul Fazal Bahauddini, addressed the Shab e Shohada. 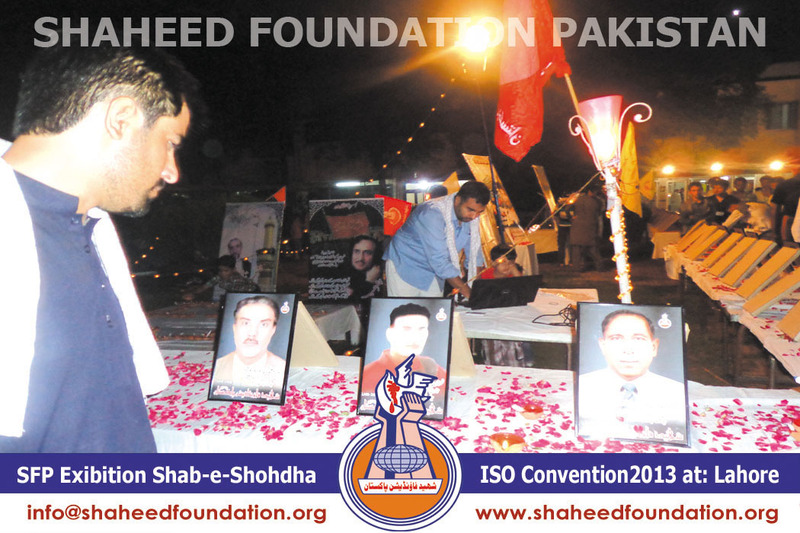 President of ISO Pakistan Brother Athar Imran accompanied by cabinet member visited Picture exhibition of Shaheed Foundation Pakistan and thanked Shaheed Foundation Pakistan on behalf of ISO Pak for managing the Shohada picture exhibition in Shabe Shohda convention. 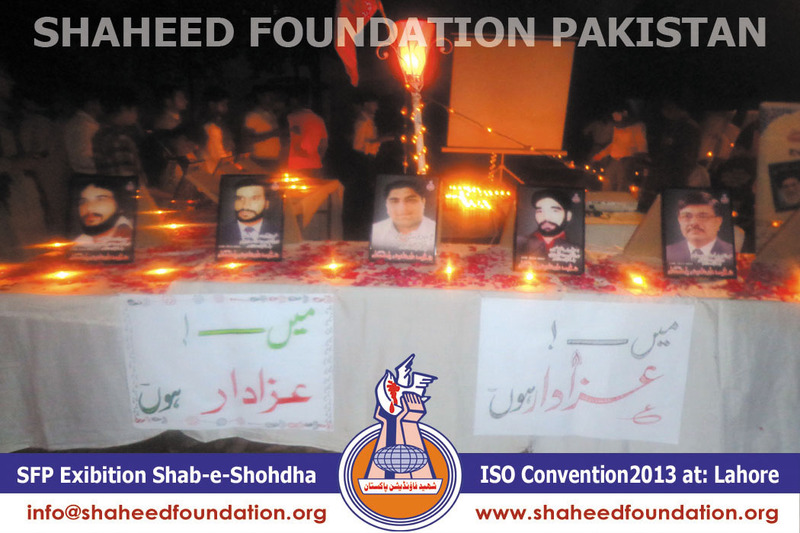 In memory of beloved Shohada ,earthen lamps were lit and word yaadgar-e-shohada was formed by helps of the small lamps which looked very very attractive. 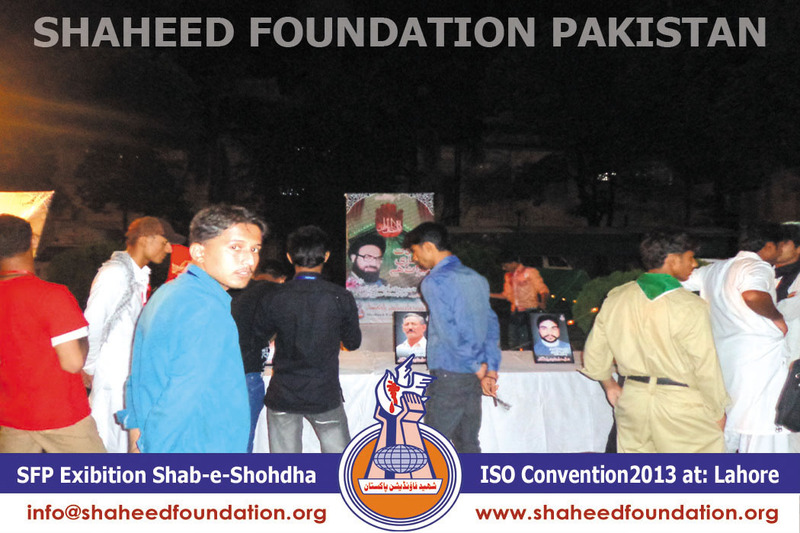 [Rightmost above] . 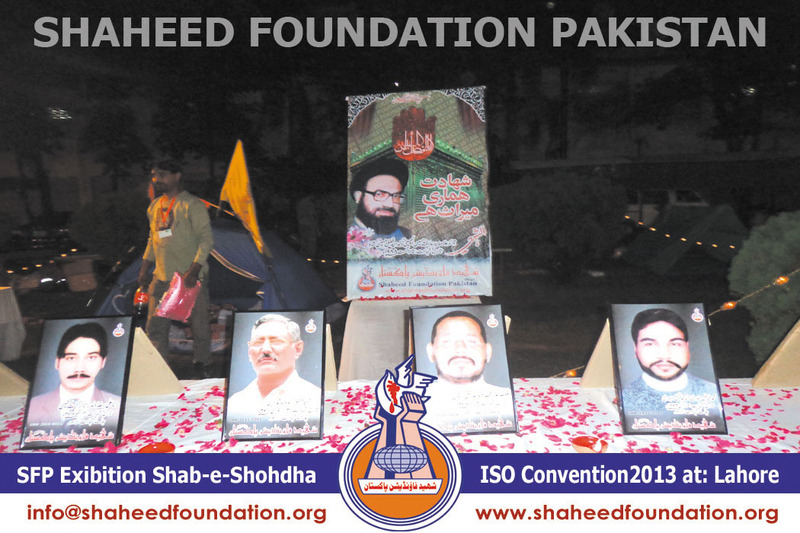 Shaheed Foundation Pakistan's Lahore working committee worked hard to ensure a gracious event and enlivening the memories of the beloved martyrs .